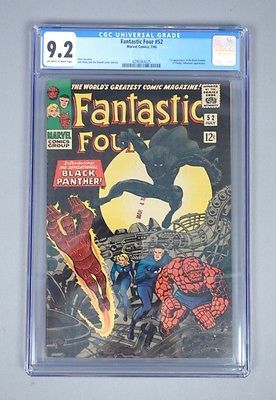 This wonderful Silver Age comic will make an incredible addition to your collection. Free shipping within the continental US. Due to the relative inconsistencies of various display monitors and their settings, the colors you see on your screen may not be a totally accurate reproduction of the actual product. We strive to make our colors as accurate as possible, but screen images are intended as a guide only and should not be regarded as absolutely correct. IF YOU ARE THE WINNER… Congratulations! Click the “Pay Now” button at the top of the listing to immediately proceed with our checkout and payment process. Please note that the “Pay Now” button is ONLY available after winning an auction or completing a Buy It Now purchase. If you need to check out later, you will be notified by eBay via e-mail that you are the winning bidder. The e-mail will contain a link to eBay’s secure checkout system, where you will be able to quickly and conveniently pay for your purchase. Payment is expected within three (3) days from the end of the auction. If payment is not received within three (3) days, you may receive an Unpaid Item Notice from eBay, which may result in a strike being placed on your user ID. If you are planning to bid on additional items, please notify us. You have seven (7) days from the end of your first purchase to buy additional items. When you are done bidding and ready to check out all of your purchases will be consolidated into one order. Please note that state law requires that we charge 7.00% sales tax on all orders shipped to addresses within the state of New York. PayPal is the preferred method of payment. We can also accept Visa or MasterCard from domestic customers only. International customers must use PayPal. We guarantee each item we sell for authenticity and condition as represented in our descriptions and pictures. If an item is not as represented we will refund the full purchase price and return shipping. If the item’s condition is as it was represented in the listing, but you decide that you just can’t live with it, we will be happy to refund the purchase price less a 20% restocking fee within the 30-day time period. Return shipping would be at your expense. We offer free shipping to customers in the U.S. All orders are shipped via the United States Postal Service (USPS) First Class or Priority, at our discretion, with tracking, full insurance coverage and delivery or signature confirmation within 24 - 48 hours. In some cases an adult signature may be required. When paying via PayPal, items must be shipped to your PayPal verified address, as required by eBay and PayPal. Once your order is ready to be shipped you will receive an e-mail with the tracking number. You can check on the status of your order by visiting www.usps.com. International orders will be shipped via USPS Priority or Express at our discretion depending on the country and the value of your order. A telephone number should be provided for international shipments. International customers should be aware that your charge from Nine Caroline Antiques includes only the cost of your item and shipping. We charge the actual postage and insurance costs and do not assess a handling fee. Any additional charges for customs clearance must be borne by you. We have no control over import charges and duties, nor do we have a way to estimate them. ALL fees relative to import are the responsibility of the buyer. In keeping with customs practices, items are sent as merchandise. Also, for the protection of our international customers, as well as ourselves, we do not devalue items in the event of damage or loss. Customs policies vary widely from country to country so please contact your local customs office if you need further information. Our goal is to take care of our customers better than anyone else. If you have any questions or need assistance please don’t hesitate to contact us. Customer support staff are available from 9 a.m. - 3 p.m., Monday - Friday. Our toll free phone number is 1-844-514-2078. You may also contact us through the eBay My Messages system. We do our best to respond to messages within 24 hours. Please Note: Should we need to contact you via e-mail, please be sure that your mailbox is empty and your spam filter will allow e-mails from us. We cannot send you important notices if they don’t get through.